Pizza Party Menu. For tables of minimum 15 people. For tables of minimum 15 people. 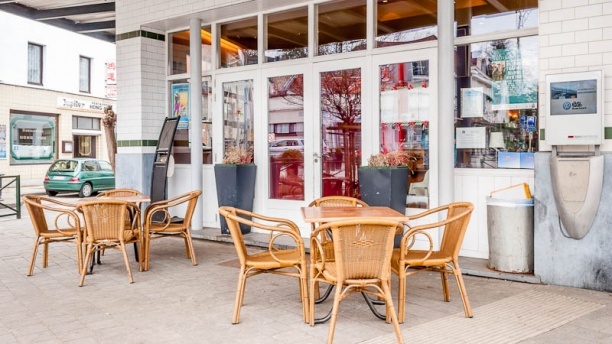 IN WATERMAEL-BOITSFORT, the Cicciobello welcomes you in a charmful room for a romantic dinner, a family get together, a meeting with friends, a banquet or any other event. You can also choose to enjoy the sun on the terrace when the weather is fine. AL DENTE & WOODEN OVEN - The cuisine covers a broad spectrum of Italian specialties, from pasta to pizzas, meat and fish. Low food quality. We asked for a pizza with buffalo mozzarella and we were told that we need to pay a supplement, which is normal. The problem was that what we got was really far to be buffalo mozzarella. The antipasti platter with bad cold meat quality. Not tasty at all. For sure not an Italian restaurant where we will be back.